Information architecture (IA) focuses on organizing, structuring, and labeling content in an effective and sustainable way. The goal is to help users find information and complete tasks. To do this, you need to understand how the pieces fit together to create the larger picture, how items relate to each other within the system. According to Peter Morville , the purpose of your IA is to help users understand where they are, what they’ve found, what’s around, and what to expect. 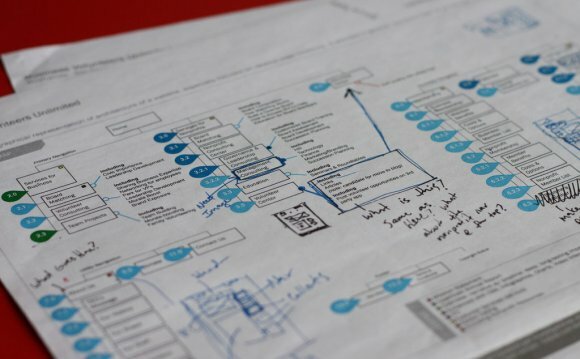 As a result, your IA informs the content strategy through identifying word choice as well as informing user interface design and interaction design through playing a role in the wireframing and prototyping processes. Since the field of IA is complex and when dealing with large information systems the task becomes more massive, sometimes experts choose a specialized niche within the discipline. Some examples of IA sub-specialties include focusing on search schemas, metadata, taxonomy, etc.